It’s been a cold week here in the District, with some rain thrown in. Do not let that deter you, my friends! 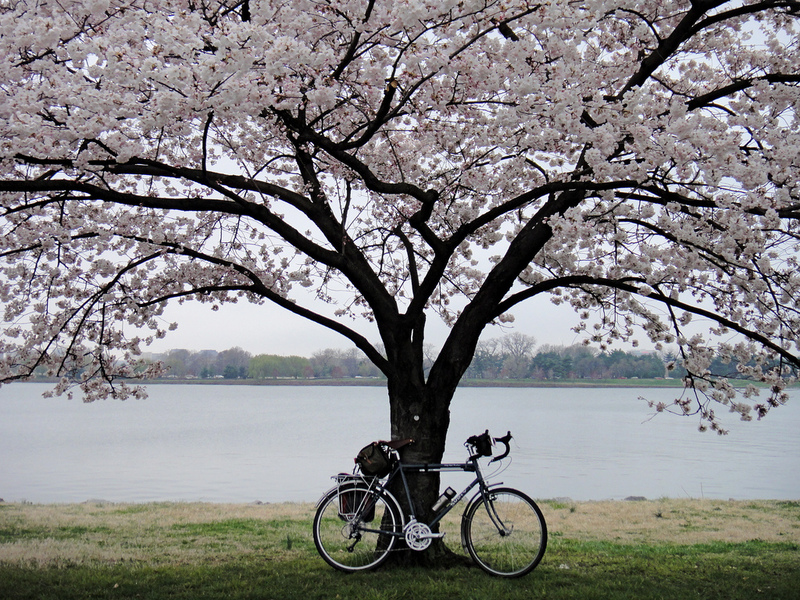 While the blossoms may pop more against a clear blue sky, the cold and gray days help make the traffic around the Tidal Basin a thousand times more peaceful. 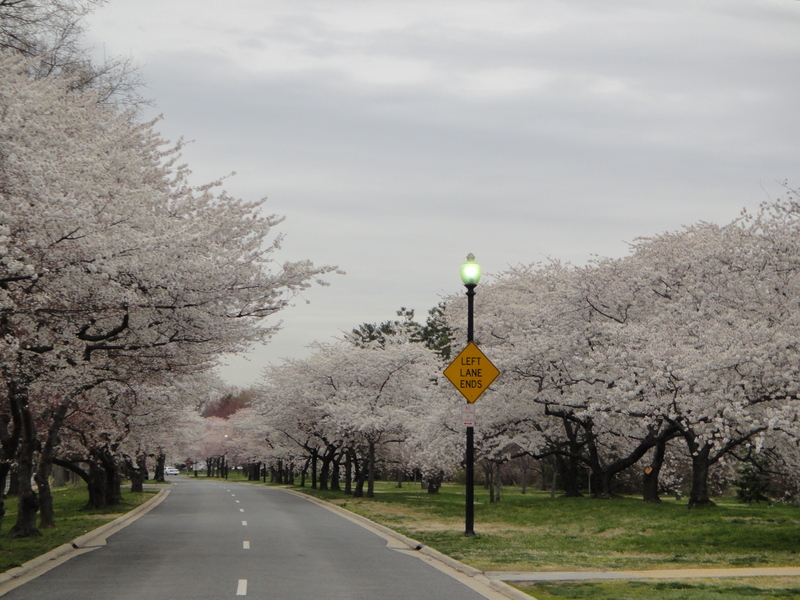 Also, according to the National Cherry Blossom Fesival’s Bloom Watch, the cold weather apparently extends the blooming time for the blossoms. Good news for us!! Even though I have seen the cherry blossoms annually for the past decade or so, I still marvel at their intense and fleeting beauty. I spend more than eleven months passing by these trees, not giving them a lot of thought. In March, they start to catch my eye as their buds begin to appear. And one day, as I am coming from or going to the office, they have exploded all around Ohio Drive, the Tidal Basin, and Hains Point. How do they do that?! It happens every year, and every year it amazes me. We are so lucky to have the cherry blossoms in our city. Happy Friday, everybody! 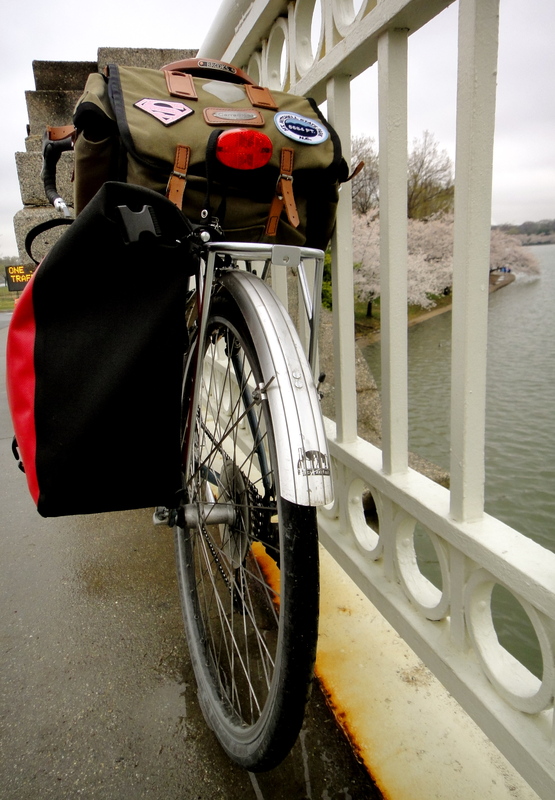 PPTC’s Downtown Breakaway ride on Tuesday went through Kentwood which has spectacular cherry trees. Helped brighten a grey day. I love them blossoms, but my toes could really, really appreciate a 70 degree day. It’s true, the cherry blossoms do make the day brighter, and I also could do with a warm sunny day! !